Nothing is more attractive than a brilliant white smile and a healthy tan. Now you can have both at the same time with Twilight Teeth. The Original “Whiten While You Tan” Whitening System! No time to tan? No Problem! Safe and effective, “Twi-Light Technology” now lets you enjoy the power of our Platinum 25 formula in the comfort of your own home. 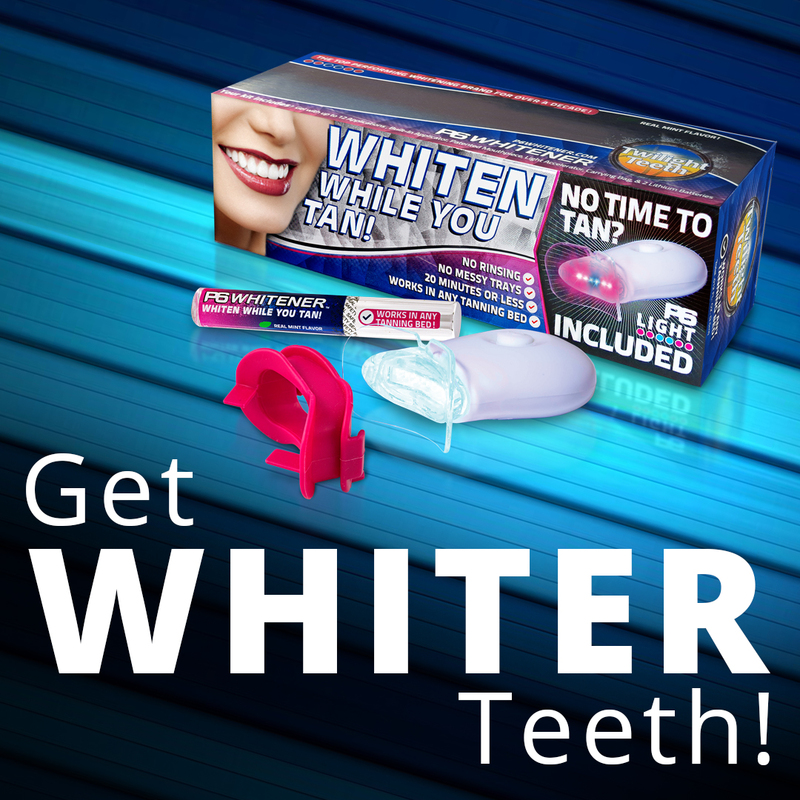 Simply follow the instructions from our original easy to use whitening kit, outside the tanning bed attach the Twi-Light to the mouthpiece and enjoy the same whitening results as you would in the salon.